Let us find a buyer for your Italian home. 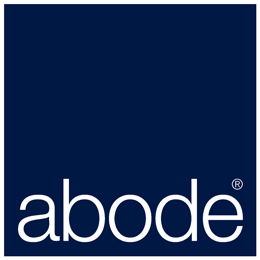 Once you instruct Abode Srl to act on your behalf in the marketing and eventual sale of your Italian property you will be asked to sign a mandate which will formalise our relationship. You can view our contracts in the terms and conditions section of this website. At this stage it is very important to ascertain whether your property is up to date with permissions authorisations and current regulations. For this reason we will ask you to contact your geometra and have him or her draw up a report verifying that any type of work carried out on the building was authorised by the release of relative permissions and identifying any eventual problems requiring rectification. If you do not have a technician then we can suggest one or instruct one on your behalf. N.B: Any eventual technical fees incurred will be the responsibility of the vendor. It is also important to establish whether you will have to pay Capital Gains Tax (CGT) when you sell your property. Please note that if you have owned your property for over five years then you will be exempt from Italian CGT. You may however be liable for income tax in your domiciled country and therefore we strongly suggest you seek professional advice. 1.Visure Ipotecarie – this is a document relative to a specific property and displays its history; sales that have occurred in the past, if the property has been inherited or donated; if there have been foreclosures and/or sequestrations. It also shows if the property has a voluntary mortgage with a bank or if it has encumbrances or contractual obligations. 2.Visure Ipocatastali – a document which will identify the title holders of agricultural land bordering the property object of the sale and verification of their eventual right to exercise pre-emption rights. When you have signed our mandate and we have established the present legal status of the property we will upload your property on our website and that of companies with whom we collaborate. You may wish to instruct via us a professional photographer to photograph your property. We would be happy to explain this service and additional costs involved. You may also wish to enter into a marketing campaign and benefit from the additional publicity. Again we will be happy to discuss this with you and explain the further benefits that this will attract. We will also ask for your consent if we decide to use your property for advertising in appropriate publications.